There are some times when having a remote GUI console can be very helpful. You may want to use the GUI interface for configuring the machine or to use applications. I know personally, I like that I can login to VNC and startup a terminal window and start a job and then come back later and check on its progress. All of this without tying up my laptop. Other times, it is nice to just use the Gnome Desktop for some tasks. Whatever the reason you want to install VNC Server on Linux, the instructions are layed out below. As the user that will be using VNC, launch the VNC Server to create the VNC Server files for the user. Launch the VNC Client and configure it to connect to your VNC Server. 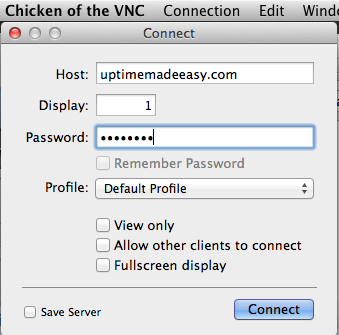 To the right is an example of how I configured Chicken of the VNC to connect to my VNC Server. Note that I listed the Display at 1 as was specified for this user in the /etc/sysconfig/vncservers file above. 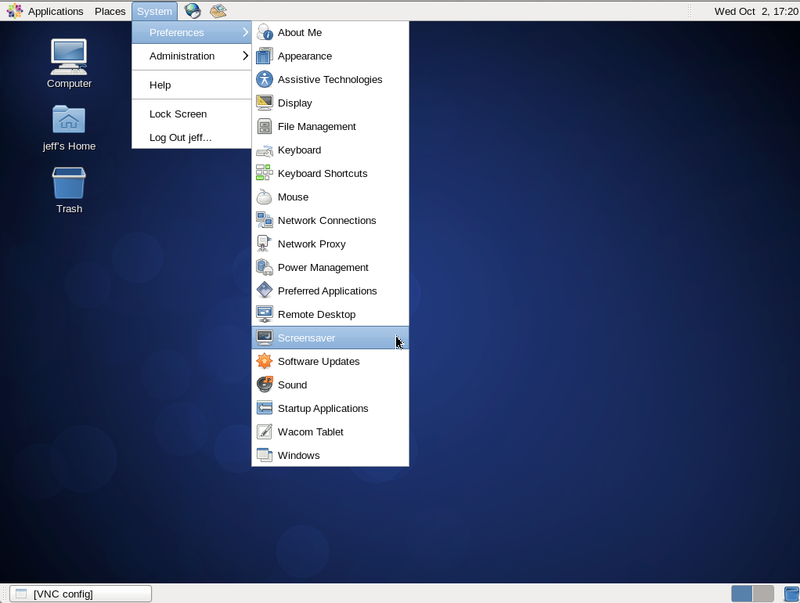 Below is an image showing a connected VNC client to a VNC server. In this example, we are using the GNOME desktop as explained in the steps above. That’s it. We setup The VNC Server and can now connect to it.